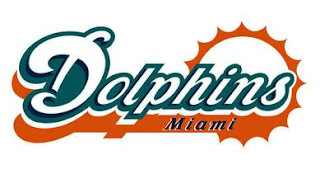 MIAMI - Sources close to the 2013 Miami Dolphins training camp have indicated that team officials are considering a drastic new approach to their offensive scheme for the upcoming 2013 NFL season. Speaking under the cloak of anonymity, several high ranking insiders within the team have suggested employing a "Stand Your Ground" style of offense which would see offensive players being encourage to shoot any players on the opposing defense who are trying to tackle them while attempting to score a touchdown. Football players across the country will tell you that getting tackled hurts. Like seriously. Because of this, Dolphins' officials are toying with the idea of arming wide receivers and running backs to protect themselves against these aggressors who are trying to forcibly throw them to the ground. More often than not, these defensive players also actively look to steal the ball from the offense as well. When they do steal the ball, the referees never do anything about it anyway. "Have you seen some of these guys they have on defenses these days?" an assistant coach said. "These guys are huge! And you know, they always get away with it too, just being able to assault and tackle our offense. All we're trying to is live our lives and score some touchdowns and these people always try to take that from us. We've had enough and it's time we did something about this." Coming off the heels of a disappointing 7-9 season in 2012 where they failed to make the playoffs, the Dolphins' coaching staff feel that they really need to shake things up in order to take their team to the next level. Citing studies which show that a large majority of Dolphins players are not good enough to make it onto other teams, the team believes that this "Stand Your Ground" offensive scheme is the perfect way to create a level playing field against these other teams who don't even belong in Miami to begin with.